The picturesque Malaysian region known as Cameron Highlands has been in existence since it was first discovered by British surveyor, William Cameron in 1885. Its beauty, atmosphere, and temperate climate in comparison to the surrounding areas eventually led to its being made into a hill station in 1925 and later a prime location for the construction and establishment of a number of British vacation retreats. The growing popularity of the area only continued to grow after it was determined to be an ideal place for growing cash crops such as tea. Today, Cameron Highlands is not only the top supplier of tea in all of Malaysia, but it’s one of the area’s most popular destinations when it comes to weekend getaways and other short vacations or mini-breaks. This is especially the case for vacationers that are looking to experience the very best of Malaysia’s natural beauty, relaxed ambient. 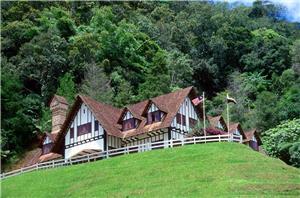 Cameron Highlands is also a major attraction for people interested in Malaysia’s history as an agricultural center. Three of Malaysia’s largest and most important tea plantations are located there, as are several farms that specialize in strawberry production. 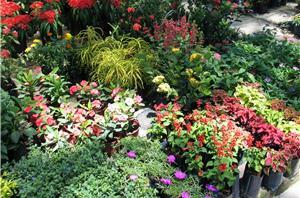 The flower and vegetable gardens are also key areas that tourists seek to visit when travelling to the location. Bus service to and from Cameron Highlands is reasonably affordable and is most convenient way as well. Service provider like Unititi Express, GT Express and Kurnia Bestari are few recommended Cameron Highlands bus service provider! Bus Terminal in Cameron Highland is located at Tanah Rata. The Tanah Rata Bus Terminal provides the platform for bus from KL to Cameron Highlands, and the bus from Ipoh and Tapah to Cameron Highland. It is also the departure point for bus from Cameron Highlands to KL, Ipoh and Tapah. Besides the terminal, bus from Singapore to Cameron Highland terminates at Copthorne Hotel (formerly known as Equatorial Hotel). For more information about Bus to Cameron Highlands, check out details from us today!